Artificial Intelligence & Recruitment: Friends or Foes? Artificial intelligence is arguably one of the most talked about technologies of the modern era. The technology is expected to be the future of the world’s processes and tasks and is becoming more and more sophisticated by the day and beginning to rival human experience and prediction. Artificial intelligence is expected to affect the recruitment industry and revolutionise the way hiring is done across all disciplines. The technology is expected to add value to recruitment processes which in turn will enhance candidate and client experience. However there is a large amount of people who are questioning the security of their jobs. So how will AI affect a human centric industry such as recruitment? But before we dive into the potential impacts, what is artificial intelligence? AI is a system that helps to extend the standard human capability through the processes of sensing, comprehending, acting and learning. This has been reinforced by increasing organisational efficiency and enhanced collaborative working with humans. Artificial Intelligence was famously tested by Alan Turing who asked the question could machines think? He developed the idea that a machine is like a child without any current knowledge who needs to be commanded with actions and data, which will enable them to successfully replicate at a later stage. In addition to this discovery, the world famous Dartmouth conference was organised to carry out a study consisting of 10 industry heavyweights to see if machines can simulate learning in that same way human can. The idea of the study was to find how to make machines use language, form abstractions and concepts, now reserved for humans, and improve themselves through learning. This conference has been widely considered as being the birth of AI and a key moment for major research into the future changing technology. This began the debate of how the sophisticated technology will end up rivalling human capability and disrupt the labour market in the near future. This will continue for many years until the technology finally becomes mainstream and widespread within all industries. Despite the potential organisational benefits, Artificial Intelligence receives a generally poor understanding from people outside of the research field. The negative public opinion comes from the critical assessment that the technology will produce destruction in all aspects of human life rather than serving as a catalyst for human improvement. Of course it would be stupid of me to state that there is no danger with AI at this stage as there has to be a level of uncertainty among everyone’s minds. 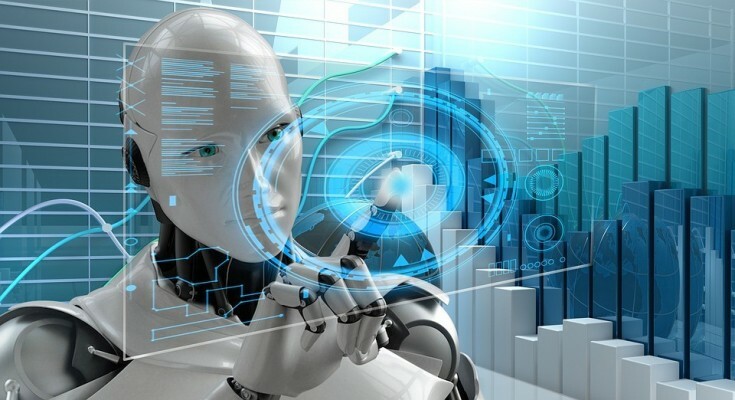 In spite of this, we have become an AI friendly environment, which is why the implementation of the technology has been a large success in such an early stage of adaptation. The advancement of machine work is fascinating but also can be perplexing which in turn creates fear about what the potential impacts could be for the security of our livelihoods. The complexity of the issue means that it is currently unavailable to predict how each technological trend will affect work in the coming years. So how will this affect the recruitment industry? The recruitment sector expects the new technology to have a holistic impact on agencies and the people within them. This provides them with the potential to customise systems that have the ability to revolutionise the way the hiring process works. Contrary to popular belief, AI is in no way going to remove the human aspect of recruitment but will help to reduce so called “grunt work” that recruiters face on a weekly basis. This will leave recruiters more time to focus on the candidate experience and service without the need for focus on administrative tasks. The technology is already is in use within the sector, but industry wide adoption is still quite a few years off due to companies being reluctant to remove the human supervision from their processes. However AI has been hailed as key tool for efficiency when looking through a large number of candidates and applications with the system having the capability to analyse and collate a comprehensive list of accurate candidates. This process is generally prone to human error so the technology will help assist recruiters to find high quality candidates within the ever decreasing research pool. The technology is expected to change the industry and improve modern recruitment processes and practices for many years to come. Research obtained from 404 recruitment professionals by Aptitude Research Partners found that 50% of their participants thought the candidate screening process would be changed the most. This was followed by 40% of the participants believing that it could reimagine the candidate experience and enable easy and quicker communication during the hiring process. The remaining 10% chose the general consensus around the industry and thought that artificial intelligence would reduce the administrative burden of recruitment. Agencies have to remember that the key to strong AI is reliable candidate data with large volumes of historical information that search protocol will be based on. In spite of this, AI helms the threat of replicating and creating algorithms based on past discriminative recruitment biases, resulting in a certain type of person being found by the software. This is due to Artificial Intelligence’s limitation to the data that it has been given to learn. Without conscious thought, it may perpetuate bad behaviour and poor results which is why there will still be a need for humans to make the final hiring decisions in the future. A Canadian survey completed by the Human Resources Professionals Association found that out of 500 HR professionals 52% indicated that their organisations were unlikely to adopt artificial intelligence within the next 5 years with the remaining 48% believing that they would utilise the technology. 36% of HR professionals stated that artificial intelligence is too large of a technology for the size of the company they work for therefore it would take long understand its capabilities within recruitment. 28% of HR professionals from the survey said that their senior leadership team was the obstacle in implementing the technology due to not seeing the need for the technology and see it as more of a gimmick rather than a useful tool.# In addition to this the HRPA survey found that all respondents indicated that the potential expense of artificial intelligence was the main barrier to deploying artificial intelligence within organisations. In conclusion, AI is not going to change the sector overnight and will require time and effort to optimise its capabilities to meet the needs and guidelines of executive recruitment. I personally believe that Artificial intelligence is going to disrupt the industry in a positive way and will not eradicate the human aspect that has become synonymous with recruitment and hiring at this early stage. AI is important and a sign that we are technologically evolving to help us yield the benefits to take us to the next level of organisational productivity. Due to this the technology has to be respected and used without bias for humans to fully understand the meanings and systems behind it. Recruitment will evolve for the better and remove the tasks that block us from providing a high quality service to customers, putting the sector into higher regard than before.